The 2019 West Virginia Legislative Session is off and running. Please be certain you are subscribed to receive updates from the West Virginia Environmental Council, which represents groups like OVEC under the Golden Dome. Here are our 2019 lobbying priorities. 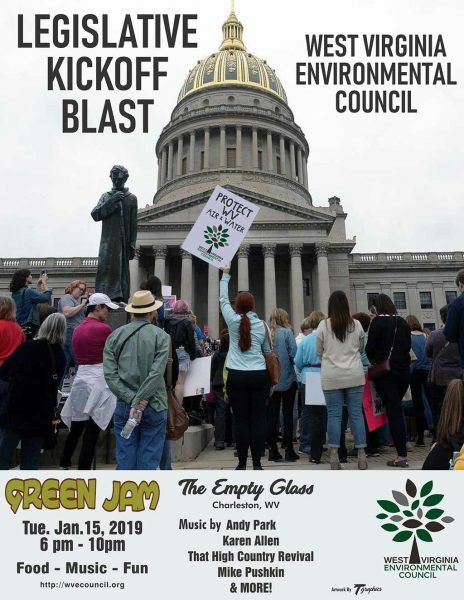 Support E-Council tonight, January 15, for the Legislative Kick Off Blast at the Empty Glass. The E-Council lobby team will be fighting hard for you at the State Capitol for the next two months, so come on out to wish them well! 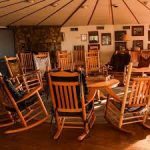 There’s food, fun and music with Andy Park, Karen Allen, That High Country Revival, and Mike Pushkin. RSVP here. What: WV DEP Water Quality Standards Public Listening Session on Water Quality Standards. 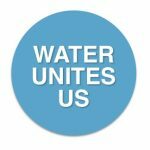 Show up to defend our water! DEP’s water quality standards rule is undergoing a regular triennial review. The standards should include the latest EPA-recommended guidelines relating to human health. But earlier this year, in a shocking turn of events, the rulemaking review committee made a last-minute change to the draft rule, at the behest of industrial polluters. Learn more here, and here, and show up Thursday if you can. Along with WV Citizen Action Group, OVEC is a leader of WV Citizens for Clean Elections. 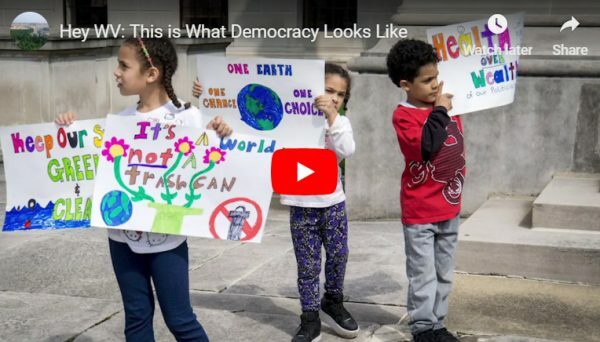 We’ve produced a new, short video that we hope you will watch and share with the hashtag #WVProDemocracy. Then we hope you will get active with the campaign to advance the Pro-Democracy Anti-Corruption Platform. Contact info@wvoter-owned.org to get involved. You can watch and share the video from Twitter, Facebook or YouTube. Today come meet the Our Children, Our Future Campaign partners. See the exhibits, take part in advocacy events with local legislators and educational opportunities for everyone. Be sure to look for OVEC organizer Alex Cole and WV Citizens for Clean Elections coordinator Julie Archer. Come out for this fun and exciting day! February 7: E-Day! at the State Capitol. Please save the date and plan to show up at the State Capitol with a bunch of friends to let the legislators know clean air and clean water are important to you. Watch the E-Council calendar and Facebook page, as well as the OVEC calendar and Facebook page for updates. Is your group a member of E-Council? Come table! Contact info@wvecouncil.org right away to save your space.